Arsenal can't seem to catch a break at the moment and their fortunes regarding injuries and suspensions have not taken a turn for the better, with news their star midfielder Jack Wilshere is set for five months out on the sidelines. The England international has undergone surgery on the ankle injury at a London hospital and although he was believed to be set for a return during the busy Christmas period, the 19-year-old is now more likely to be back for February and not the festive period. Those looking at the Premier League betting predictions should bear this in mind. With the loss of midfielders Cesc Fabregas and Samir Nasri in the summer transfer window, Wilshere was expected to come to the fore after some outstanding performances for the Gunners in the Premier League and Champions League last term. The talented playmaker received some of the highest accolades from people in the game, including Barcelona boss Pep Guardiola, who highly rates the Three Lions midfielder. However Wilshere's development will have to be put on hold for the immediate future with his rehabilitation from the surgery and his easing back into first-team action. People who bet on Premier League weekend games should remember this. Speaking after his operation on the stress fracture on his right ankle, Wilshere appears to be upbeat on his recovery and is already looking forward to putting on the red jersey next year. He said on the club's official website: "I've had the operation this morning and all went well. My ankle is a little bit sore, but I'm already looking forward to working hard to get fit and playing again. "I would also just like to say thanks for the many messages of support I have received from you - the fantastic Arsenal supporters. See you all soon at the Emirates." Arsenal boss Arsene Wenger has admitted his side have suffered a big loss with the news their star midfielder Jack Wilshere is set for a five month absence with an ankle injury. The England international underwent an operation on the fracture in his right ankle on Monday and has now begun his rehabilitation, which won’t see the 19-year-old play until next year with a possible return in February if all goes well. Fans of football betting will hope he is able to fully recover. With the loss of midfielders Cesc Fabregas and Samir Nasri in the summer transfer window, the Gunners now find themselves thin on the ground in the middle of the park. Wenger was able to sign Mikel Arteta and Yossi Benayoun before the end of August and the pair will be invaluable to the north London outfit in the absence of Wilshere, who even at a young age has become a key player for the Gunners. The promising midfielder, who gained some decent experience on his loan move to Bolton Wanderers before breaking into the Arsenal first-team, dictated the tempo of games he featured in and Wenger has admitted he is limited for options without the youngster. Those following the football odds will know this could be problematic. He said: "It makes us a bit shorter in midfield and it puts more pressure on our midfielders to perform week in week out because there is less room for rotation. "But every club can be tested on that front so it shouldn't be any excuse at all. He can come back strongly and help us finish the season well." Arsenal striker Robin van Persie has admitted he will delay any talks of prolonging his contract at the Emirates until the future of the club becomes a little clearer. The Dutch international scored his 100th goal for the Gunners on Saturday in their 3-0 over Bolton in the Premier League, and has now made 238 appearances for the club. After a disappointing start to the season, Arsenal lie 12th in the Premier League table, and have only picked up two wins from their opening six fixtures. Those looking at the betting odds will have expected the side to have done better. After the sale of Cesc Fabregas to Barcelona, and Samir Nasri to Manchester City in the summer, it has been reported that Van Persie is waiting to see how the club's immediate future unfolds, after a disappointing start to the new season. The 28-year old was signed by manager Arsene Wenger from Feyenoord in 2004, and has since become one of the leading strikers in Europe. He was appointed captain at the club by the Frenchman this summer, following the departure of Fabregas back to Barcelona. Those following the Betfair odds will know the side have to keep hold of their best players. The striker's contract does not expire until 2013, however, Wenger will not want to leave contract discussions going into the last year of the contract, to avoid the risk of losing the player on a free transfer once it expires in 2013. However, Van Persie is not quite ready to discuss any future contract talks just yet. "I still have almost two years left here, so for the moment that's fine. But I don't know, we will have to look," he said. "I'm happy with my contract, I'm good. That's how it is, I can't say much more. I can't look into the future." Arsenal boss Arsene Wenger has issued a defiant warning about his future following his side's 3-1 victory over Carling Cup over Shrewsbury on Tuesday. The Frenchman has come under major criticism in recent times after his team extended their run of trophyless seasons to six and compounded this by struggling in the early part of this campaign, including an 8-2 defeat to rivals Manchester United. Wenger was recently given the dreaded vote of confidence by the club's chief executive, Ivan GAzidis after Gunners shocking 4-3 defeat to Blackburn at the weekend and things looked bleak at the Emirates Stadium on Tuesday night after the away side took the lead but goals from Kieran Gibbs, Alex Oxlade-Chamberlain and Yossi Benayoun sealed the victory. Those following the free sports betting wouldn't have been surprised by the result. Despite the win, questions understandably remain over Wenger's position but he insists he has no intention of leaving the club. Wenger is renowned for his stubbornness but insists he is taking his club down the right path and has rejected calls to bring in a defensive coach such as Martin Keown. "I have just completed 30 years of coaching. I don't want to answer this kind of question. I am completely focused on doing well," he said. "I can understand that people are unhappy and criticise, but you know as well as I know people are very quick to go overboard." However, those looking at the mobile sports betting will know that Arsenal already look to be out of the title race and could face a struggle to qualify for the Champions League unless they are able to turn things around soon. For 15 minutes or so on Tuesday evening Arsenal fans were beginning to wonder whether their already poor start to the season was about to become traumatic. The wounds from that 8-2 mauling at Manchester United and 4-2 loss at Blackburn were yet to heal when League Two Shrewsbury took the lead the Emirates Stadium in the Carling Cup third round. Thankfully for the nervous red and white hordes the night took a turn for the better thanks to goals from Keiran Gibbs, Alex Chamberlain and Yossi Benayoun. However, it wasn’t exactly the morale boosting performance Wenger had hoped for following the Ewood Park disaster at the weekend. 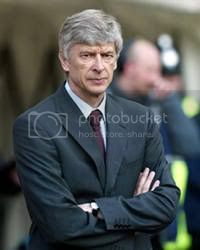 Earlier in the day Arsenal chief executive Ivan Gazidis had dismissed suggestions the club would consider sacking the Frenchman after 14 years in charge at the London club. Fuelled by that vote of confidence, Wenger was in equally bullish mood immediately after the game, stating his intention to stick around for a while yet. “I can understand that people are unhappy and criticise, but you know as well as I know that people are very quick to go overboard,” said Wenger. "When we do well we take all the plaudits, so we have to take all the blame when it doesn't go as well - but we have, on both sides, to take some distance. "I am not bothered at all by this speculation. That determination to fight on will be a boost to Arsenal supporters, who thought they saw a beaten man on the touchline at Ewood park on Saturday. Despite the tough recent run Wenger is still a coach of the highest order and although his hesitancy in the transfer market has perhaps proved costly, there is no better manager out there at present who can get Arsenal out of their current predicament. The title is out of their reach, no question. If you are going to bet on the Premier League it is only worth looking at three clubs - United, City and Chelsea – given the mega-money at their disposal. Champions League qualification – and the riches that brings – is vitally important given the club are still repaying the cost of their new ground. But with Spurs and Liverpool also fighting hard, the Gunners’ poor start may already prove critical. However, it is an end to the club’s now six-year trophy drought that is an attainable target and one Wenger needs to achieve if he is to relieve the pressure on his shoulders. Something to consider if you want a bet on the FA Cup. As much as the cash-cow of the Champions League is important, the sight of an Arsenal captain lifting a trophy – a first at the new stadium – would do much to dissipate the clouds of discontent circling above north London at present. Arsenal chief executive Ivan Gazidis has dismissed claims that Arsene Wenger is under pressure and insists he has the full backing of the board. It has been suggested that the Frenchman is under pressure after a disappointing start to the season as well as his reluctance to spend money in the transfer market. Wenger's position has previously been thought to be untouchable but after failing to win a trophy for six seasons may of the fans have started to question his role and this has only been heightened with the Gunners struggles so far this term. Those following the mobile betting will know how poor the side have been. However, Gazidis insists he and his fellow board members are fully behind the veteran coach and are sure he is the right man to turn the club's fortunes around. He told Sky Sports News: "No, he shouldn't be worried. 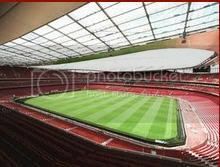 What I think Arsene is concerned about is what we have to do to set our course straight on the pitch. "Arsene has been an incredible manager for this club, he is one of the most in-demand managers in the world, and we are very fortunate to have him tied down to a long-term contract. We are lucky to have someone who cares about the responsible development of the club. The South-African-born CEO was also quick to quash rumours that Wenger had lost his desire to coach and was thinking about leaving his post. The betting online still indicates he will stay. The 61-year-old has now been at the club for 15 years but 47-year-old Gazidis insists the manager is still hungry for success. "The portrayals of him as being a broken man could not be further from the truth. Arsene is incredibly focused on what he needs to do and addressing the issues that he has seen" he added. To lose 8-2 against one of your fiercest rivals is bad enough but to force to wait two weeks to try and put it right must have been torture for Arsenal and their fans. Players will tell you that after a defeat they want to play the next game quickly in order to get the loss out of their system. So the international period has allowed the memories of that Old Trafford mauling to fester. Only time will tell whether that will be a positive or negative thing for Arsene Wenger’s men and whether their lowly position in the premier league betting stakes will improve. One undoubted positive though is the presence of new signings. Flush with cash from the sales of Cesc Fabregas and Samir Nasri, Wenger was busy on deadline day, completing deals for Mikel Arteta, Yossi Benayoun, Per Mertesacker ,Park Chu-Young, Andre Santos. 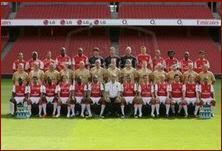 Fresh faces at anytime will re-invigorate a club and Arsenal will be no different, especially after a difficult summer. The fans will also be boosted and many will hope the enforced break can act as a clean slate, a chance to start the season again. Arteta and Mertesacker in particular are crucial to Arsenal’s success this season and if you want to bet on the Champions League heading to the Emirates they both need to have excellent seasons and surpass most expectations. The German brings welcome leadership and experience to a back four too prone to lapses in concentration. Arteta meanwhile has big boots to fill in the absence of both Fabregas and Nasri. He hasn’t been in the best of form in recent seasons but Arsenal’s style of play suits him down to the ground and the chance of a fresh start and a new club could be just what he needs to get back to his best. Swansea City are the next opponents for the Gunners, a team who like to play a similar brand of football. After losing to two newly promoted sides at home last season no one will be taking the game for granted. But with new players on board and a 8-2 defeat to exorcise, the fans must be confident of a morale boosting victory to kick-start their stuttering season. After so much criticism regarding a lack of success you have to wonder what attitude Arsene Wenger will have towards the Carling Cup this year. It has been seven long years for Arsenal since their last trophy and they blew a massive chance in the Carling Cup final last year, when a blunder from goalkeeper and defender gifted the game, and the silverware, to Birmingham City. It was a huge Carling Cup betting upset. Over the last decade Wenger has consistently used the Carling Cup to blood younger players and bring through a new generation of Arsenal stars – but given the criticism of himself and his team this year maybe he should go at it all guns blazing. Winning a trophy, even not the most prestigious trophy in English football, would at least shut up some of his critics who have been calling for his head following a poor start to the season and some debatable last-minute moves in the transfer market. There are more question marks over the youngsters at Arsenal than ever before as Wenger's continued mission to 'buy youth and develop them' has led to the Gunners reserve and youth players coming under the microscope. With a lack of squad depth, and the number of younger players out on loan, Wenger might not have the luxury of blooding a full inexperienced team in the Carling Cup – and this could have big benefits overall. Those placing a Carling Cup bet should remember this. A strong Arsenal side marching their way to lifting the Carling Cup at Wembley come next year would see Wenger get himself back in the good books of many fans and, more importantly, it would finally get that lack-of-trophies monkey off his back for good. It’s no secret that this season could end up being one of the most challenging of Arsene Wenger’s fifteen year tenure at Arsenal, but the fact that there are now certain sections of the Emirates that have lost faith in their manager and actually want to see a change at the top of the club’s hierarchy should be viewed as very worrying indeed. Wenger has always invested in youth, but now there seems to have been too much spending with the future in mind, and not enough thought given to the short-term – and that timescale is now the one which is threatening Wenger’s job.Those who bet on the Premier League certainly doubt the Frenchman's abilities to turn things around. The fact that Arsenal chose to spend £15m on Alex Oxlade-Chamberlain – an eighteen-year-old of undoubted promise, but who surely cannot be relied on to offer a consistent supply to the likes of van Persie and Gervinho – speaks volumes of where Wenger’s priorities lie. He clearly envisages leaving some manner of a legacy behind, but in this day and age it is the six years without delivering a trophy that people are going to remember. Even with Fabregas amongst the Arsenal ranks, there was a feeling that the team lacked a leader in the vein of Patrick Viera, but following their former captain’s departure to his native Barcelona, the armband has been left to Robin van Persie. Despite his obvious talent, he also has some well-documented injury issues and will therefore struggle to lead his team from the physio’s table. Also, by the nature of his role as the team’s star striker, he also plays with his back to his men and will be unable to grab the game by the scruff of its neck when the going gets tough. So the solution for Wenger seems obvious: buy a striker to cover van Persie when he is injured; buy a leader in midfield to rally the troops – and buy them now whatever the cost.Are Yossi Benayoun and Mikel Arteta the answer? Creative yes, but driving leaders? I don't think so. In an age of instant gratification, where those who watch live football at the Emirates demand results now Wenger perhaps sees himself as a prophet. But the bad news is that such people are so rarely appreciated in their own time – and should things not improve soon, Wenger could well end up with his head on a plate.